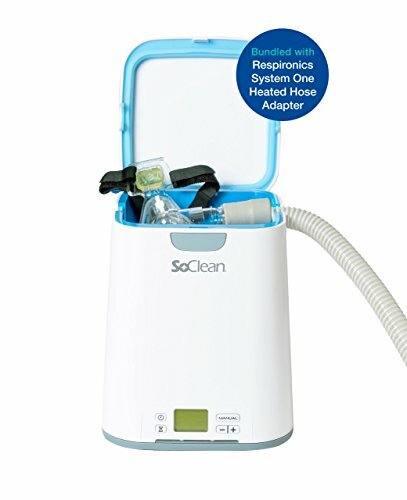 This bundle of two products includes the SoClean® and a Respironics DreamStation and System One adapter. Introducing the fastest, safest, most effective way to clean CPAP equipment. SoClean kills 99.9 percent of CPAP bacteria, viruses and mold in your mask, hose and reservoir. No disassembly, no water and no chemicals required. SoClean is the safest, healthiest way to breathe cleaner. 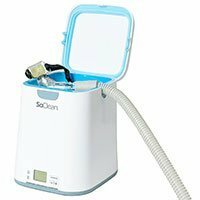 The SoClean CPAP sanitizing machine uses safe, natural, activated oxygen to thoroughly sanitize and disinfect your entire CPAP system. Just place your mask inside, close the lid and SoClean does the rest. The inside chamber measures 5.5 inches length x 5.5 inches width x 7.25 inches and fits multiple mask types. Most full face masks will fit inside the chamber with the exception of a total face mask that covers the entire face. This bundle is specially designed for users of the Respironics DreamStation or System One. If you own a ResMed S9, ResMed AirSense 10, Transcend/Z1, Fisher & Paykel ICON or Fisher & Paykel 600 Series, please find another SoClean bundle available on Amazon. Adapters are necessary for these models to ensure compatibility with SoClean. 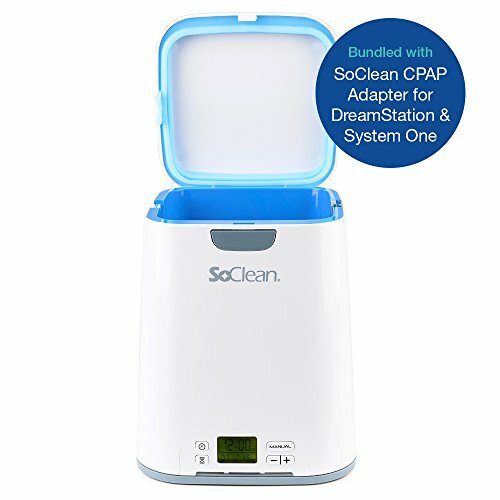 Powerful automated daily sanitizer for your CPAP equipment Destroys 99.9 percent of CPAP bacteria, viruses, and mold, without chemicals or water. 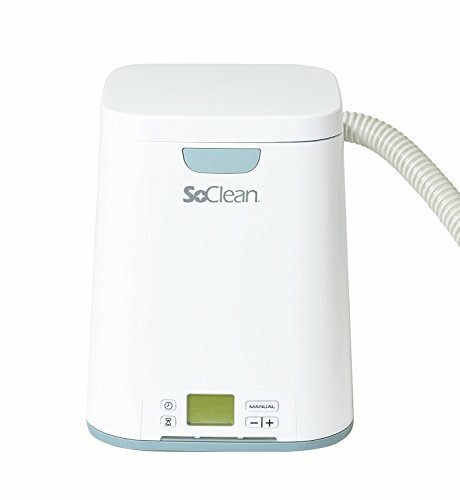 FDA registered and independently lab tested SoClean connects to your CPAP, BiPAP, VPAP, or BPAP. Now works with the System One and the Dreamstation Updated interface, smaller footprint, and indicator lights.